Chance the Rapper has given God the glory after successfully giving up cigarettes while taking a sabbatical to study the Word of God. Chance has previously opened up about his addiction to cigarettes — even naming a song on his album "Chain Smoker” — and revealed he was attempting to break the longstanding habit in a May Twitter post. 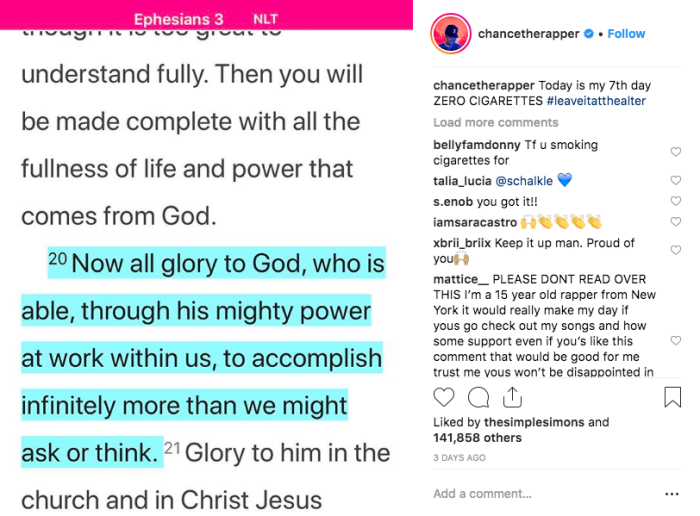 Chance’s decision to quit smoking comes amid his sabbatical to “study the Word of God.” Earlier in December, he announced that he plans to read “five or more books from Bible” to get to know Jesus Christ on a deeper level. Chance went on to explain that he made the decision to take a sabbatical following the birth of his nephew, Charlie Matthew. In a subsequent post, Chance shared a page from A Diary of Private Prayer, a devotional from the Scottish theologian John Baillie that contains prayers for the morning and evening. Chance’s spiritual journey has inspired others. Rapper Kanye West recently credited the younger artist for helping reconnect him to his Christian faith. 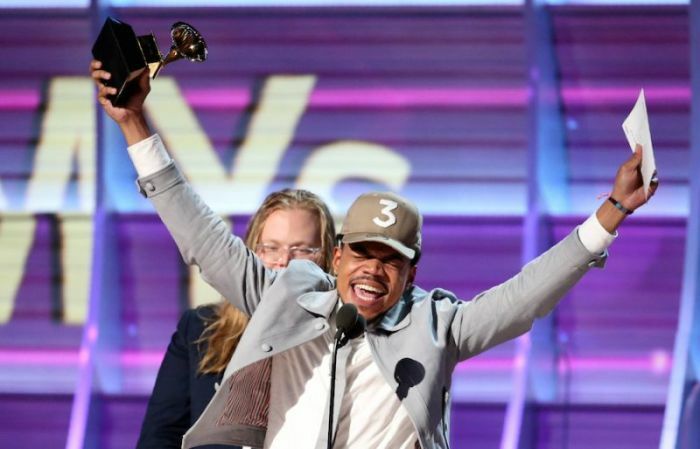 “I need to speak about how Chance demanding that we record in Chicago reconnected me with my roots and also my faith in Jesus Christ,” he tweeted on Dec. 15.